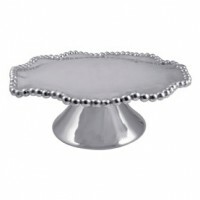 Wedding cakes are the dessert of a lifetime. 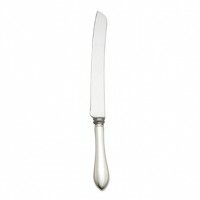 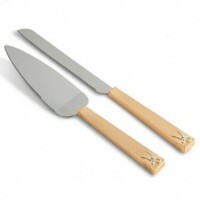 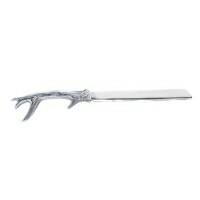 Our cake servers and knives are beautifully handcrafted by designers like Vera Wang and Reed and Barton. 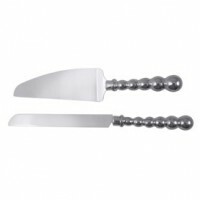 Exquisitely fashioned with personal details, these cake and knife sets are meant to become family heirlooms. 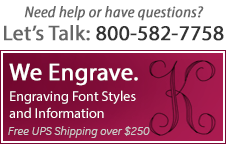 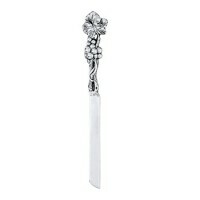 Wedding cake servers and knives are perfect for engraving with an initial to create a personal keepsake. 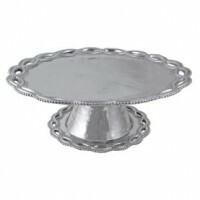 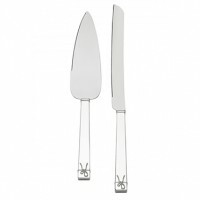 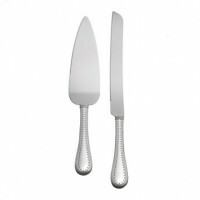 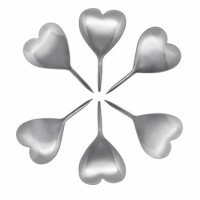 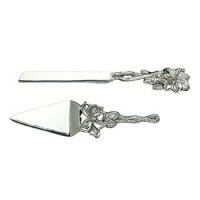 Gift the bride and groom or the anniversary couple with a silver cake server set.